AMMONNEWS - A video of a disgruntled passenger queuing at Beirut’s Rafiq al-Hariri International Airport, currently suffering from heavy traffic in arrivals and departures, went viral on social media. The passenger was filmed saying: “You need Mohammed Bin Salman to eliminate corruption,” in reference to the Saudi crown prince anti-corruption campaign in the kingdom. 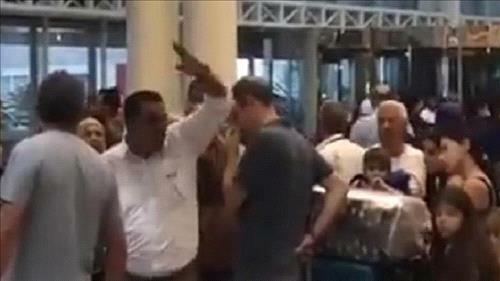 The video shows the passenger speaking in a Gulf accent, while other passengers gathered by his side applauding him for his words, with the General Security personnel watching without a reaction. Rafiq al-Hariri International Airport, which has not undergone any new expansions or development since 1996, faced a lot of scrutiny this summer, a peak season for traveling in and out and which culminated with the Hajj season, with many additional flights added to a regular schedule. Both July and August had passenger traffic exceeding 1 million each month, while the airport is built to accommodate 1.5 million passengers annually.